In Mayan culture, the afterlife may have varied from one region to another (such as different beliefs in the Yucatan as compared to the area of Guatamala). 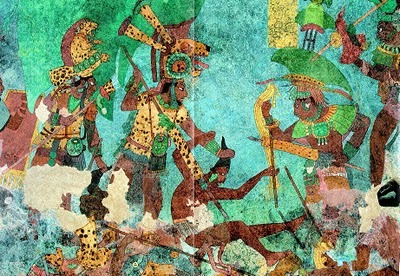 In the Yucatan, the evil descended to an afterlife of torment in the underworld while the good were sent to paradise. Those destined for paradise, followed the 'Rope Woman', Ixtab. 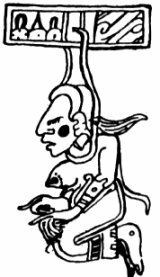 Ixtab has been symbolized as the figure of a female, hanged by a rope around her neck. Suicide, especially by hanging, was considered an 'honorable' way to die. 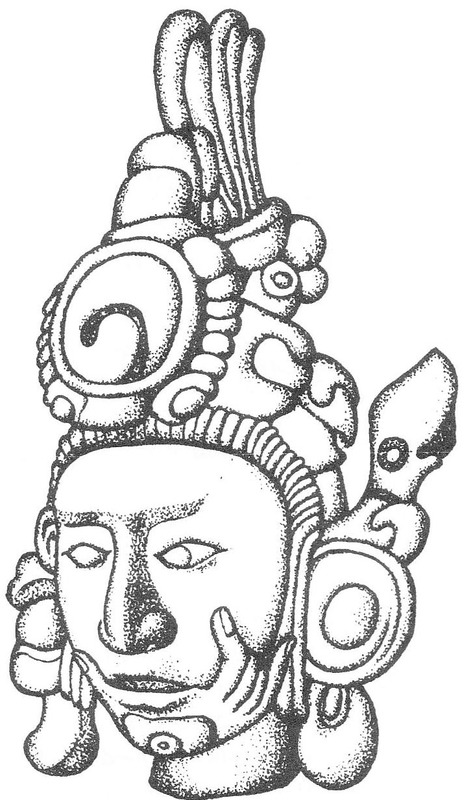 Ixtab was the Mayan 'psychopomp', the mythical guide to souls of the dead to the afterlife. The 'hanged by suicide' would be guided to paradise. There, they would have fine food and drink and rest under the shade of a tree. But, for the Maya, there were a number of other 'roads to heaven'. Members of the priesthood had an automatic ticket to heaven. The unfortunate women who died while giving birth also had the gates to heaven open to them. Soldiers who died in battle and drownings were considered special. All of these souls were led by Ixtab to the 'pearly gates'. A last way of going directly to paradise was through human sacrifice. 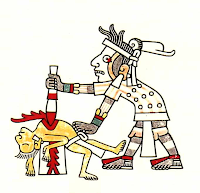 Many cultures in Mesoamerica are known to have sacrificed prisoners of war and criminals but with the Maya, there was also one very special sacrifice, usually involving a young male, a treat for the gods. The (often voluntary) victim would be tied down and undergo excision of the lower jaw. This procedure involved considerable loss of blood and mutilation. Death came fast as the carotid arteries were severed and the victim lost consciousness before the procedure was complete. Fortunately, the soul of the young, jawless man would be led by Ixtab directly into paradise. Some researchers say that the depiction of this procedure is seen in the figure of the 'God of Zero', the space left by his absent chin held in the web between thumb and forefinger. *Religious beliefs: subject of research for the novel The Tao of the Thirteenth God - Amazon Kindle.